AllegroMedical.com presents The Comfort Audio Duett New Personal Listener External Mic. This Comfort Audio external microphone is placed near your television's speaker for use with the Comfort Duett Personal Listener to amplify TV programs. 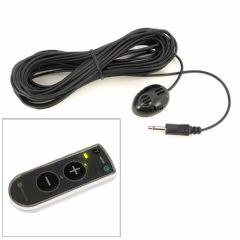 Designed for the Comfort Duett Personal Listener model with large volume buttons (sold separately).